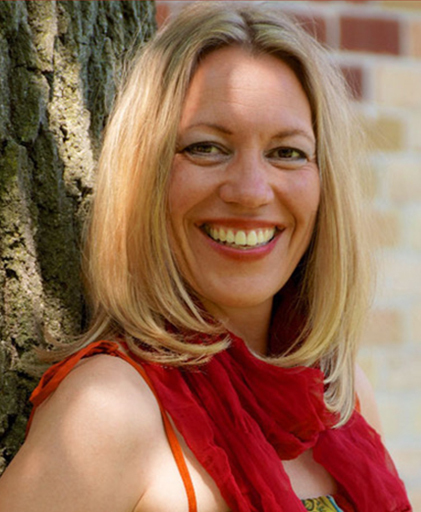 Mona Meyer, Ph.D., is a Cancer Researcher turned Cancer Coach, & Certified EFT Practitioner. Mona Meyer, Ph.D., is a Cancer Researcher turned Cancer Coach. At the age of 17, Mona supported her best friend through her cancer journey, experiencing fear, helplessness, and powerlessness along the way. Mona was determined to become a cancer researcher. Well into her formal research, she was faced with her own significant health trauma that left her in rehabilitation for years. Through that ordeal, where mainstream medicine could offer no help but pills for depression, she discovered integrative healing modalities and experienced amazing breakthroughs that enabled her to finish her training as a cell and molecular biologist. She graduated with honours in the field of leukemia at the university of Marburg, Germany. In 2010, she moved to Canada to study brain tumours. As cancer continued to impact those in her life, Mona decided to switch careers. Knowing the impact of stress and trauma on cancer progression, she pursued an integrative approach towards cancer. As a certified EFT practitioner and Professional Cancer Coach, she integrates her versatile knowledge and techniques, to support cancer patients and their families through their cancer journey helping them release fear and stress, and implementing a life style that supports healing and emotional wellbeing. The word cancer is loaded with emotions: fear, helplessness, overwhelm. Media and organizations predict rising cancer incidences over the next decades, supporting the notion that cancer has become an epidemic. This opens up a lot of questions, given the fact that cancer has existed throughout human history, and every human being has cancer cells in their body. Why is it that cancer manifests in some people and not in others? Why are more people diagnosed with cancer nowadays? Conventional medicine aims to eliminate cancer by means of surgery, radiation, and chemotherapy, but what if that is an outdated view on cancer treatment? What have we learnt about cancer in the last decades? Recently, it has been suggested that cancer is connected to trauma and negative emotions. What do we know about emotions and cancer and could EFT possibly impact cancer progression and remission? Looking at cancer from an integrative side, including the environment that supports cancer to manifest and grow, reveals how we can actively participate in our body’s attempt to regain homeostasis, the fertile ground to promote healing.